The national roads agency’s continued growth and success can be attributed to the fact that it places its own employees at the heart of its activities. As a high-performing organisation, it has to attract and nurture a corps of talented people who can oversee the development of the country’s largest single public asset – its road network. The company’s talent pipeline starts at its support for maths and science education. It collaborates with tertiary institutions such Nelson Mandela Metropolitian University (NMMU and the University of the Free State (UFS). In partnership with UFS and NMMU, SANRAL supports the training of future maths and science teachers, offer weekly sessions on campus to selected learners to increase their abilities in Physical Science and offer a Family Maths and Science programme offered to primary schools. The latter programme is aimed at learners in grade 3 and 4 and involve the teachers and parents in a three year programme. Scholarships are offered to deserving learners in Grades 10-12 who are proficient in mathematics, physical science and English. Many of these students are later supported with bursaries for their tertiary studies. SANRAL remains at the forefront of science, technology, engineering, and mathematics (STEM) development. South Africa’s performance in maths and science at school level has suffered major setbacks over the years; the quality and type of instruction vacillating wildly. Decent instruction in learning-conducive environments tends to be concentrated in the country’s more privileged communities. As it comes at a premium, high-quality education in maths and science is inaccessible to the vast majority of underprivileged learners. South Africa’s academic decline is largely economic. National performance is improving, however. SA scored better than it did in 2013, according to international performance study Trends in International Mathematics and Science. This study is the longest-running assessment of maths and science education in the world and is carried out every four years. The 2015 results were revealed at the end of November by the HSRC. Although South Africa is among the bottom-five performing countries in the fields of maths and science, Basic Education Minister Angie Motshekga said she was proud that our scholars had improved more drastically than any other listed in the results, which included 59 countries. But there is much work to be done in these areas. We need more scientists, doctors and engineers to take this country forward. We need to identify talent early – and then nurture it. Through its bursary programme, SANRAL is seeking to create a pipeline of talented students who will eventually contribute to skills development in the country. In the past year alone, 122 aspiring engineers and scientists received bursaries from the agency – including 14 registered for postgraduate studies. In partnership with consultants and contractors working on SANRAL projects, many of these students are offered internships through which they gain practical experience prior to graduation. To remain at the leading edge of global trends in engineering, the national roads agency has itself established close partnerships with institutions of higher learning. It sponsors a Chair in Pavement Engineering at the University of Stellenbosch and a Chair in Transport Planning at UCT. Through an endowment of R30m over five years, SANRAL is contributing to a Chair in Science, Mathematics and Technology Education at the University of the Free State. The aim of this sponsorship is to empower students and build capacity in academic fields critical to SANRAL’s ability to provide world-class infrastructure that contributes to economic growth. The value that SANRAL adds to South Africa stretches way beyond its professional management of Africa’s most sophisticated primary road network. Since its establishment in 1998, the agency has earned recognition as a true national asset that contributes to the broader South African society and invests in communities through training, job creation, entrepreneurial support and empowerment programmes. One of the country’s most talked-about future challenges is the need for skilled and trained human resources. The National Development Plan notes that “education, training and innovation are central to South Africa’s long-term prospects”. Without these core elements, the country will struggle to eliminate poverty, reduce inequality and create a more just society. SANRAL focuses much of its developmental resources on education and training initiatives designed to improve the quality of maths and science teaching. 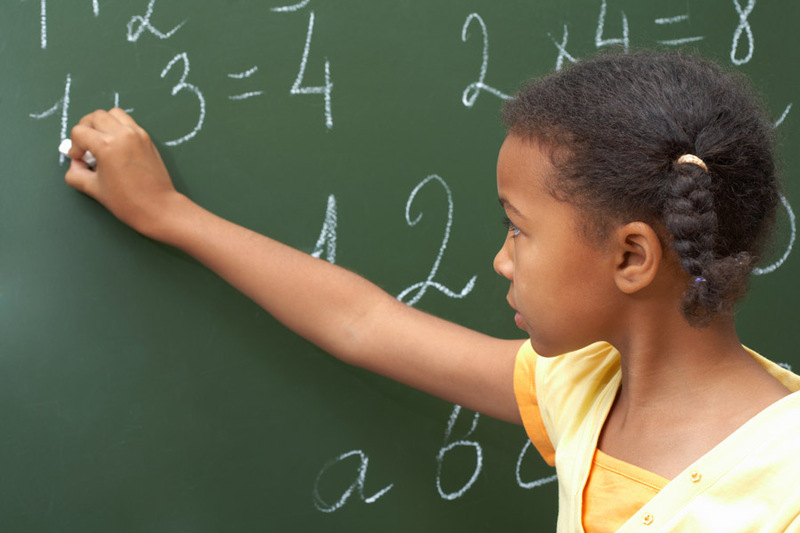 The latest results of global study Trends in International Mathematics and Science show that South Africa still ranks low in maths and science, despite major improvements in recent years. SANRAL’s response is to support education programmes at schools, focusing on training and upskilling the educators who teach maths and science. Through its partnerships with universities, SANRAL sponsors programmes that help bridge the gap between high school and tertiary education. Scholarships are offered to deserving learners and many of them have the opportunity to continue their studies through the financial support provided by SANRAL. For the financial year 2015/2016 we invested R2.99m in scholarships for 196 high school learners, up from R2.37m and 172 learners a year earlier. Bursaries awarded to students in the engineering disciplines help to create a pipeline of new graduates who will in future design, build and maintain the country’s physical infrastructure. In the same financial year, we invested R7.5m in 122 university students as against 105 the year before. Fourteen were for post-graduate studies. SANRAL’s Training Academy in Port Elizabeth offers graduate students the practical experience required to be registered as professional engineers. Within the public sector, SANRAL has set the standards on how to attract, retain and manage highly sought-after talent. Through its human resource strategy, it has put in place mentorships and coaching programmes that encourage innovation, knowledge-sharing and careerlong development. Higher education bursaries went to 32 staff members, of which 23 enrolled for post-graduate studies. A recent climate survey conducted by an external company showed that more than 95% of employees who responded found their jobs interesting and rewarding. This commitment to empowerment is also reflected in SANRAL’s management of construction and maintenance contracts across the country’s vast road network. Many small and medium enterprises have received their first business contracts through SANRAL. The experience they gain working with established contractors enables them to grow their business, create jobs and plough money back into local communities. SMMEs earned R3.56bn in the last financial year. Importantly, our contract participation goals (CPGs) saw the development of 1 004 black-owned companies individually contracted to perform work to the value of approximately R1.9m. An example of a recent project that exceeded the agency’s CPGs is the patch and reseal of the R58 between Burgersdorp and Aliwal North in the Eastern Cape. The minimum prescribed contract participation targets for this project were 4% labour maximisation and 8% SMME/Black Enterprise (BE) utilisation. We achieved a labour maximisation figure of 4.81% and a SMME/BE utilisation of 8.79%. On this project 458 640 hours were worked – equivalent to 190 people receiving employment. SANRAL is a valuable national asset. Our national roads agency is about far more than roads; it contributes to the country’s growth and prosperity through every one of its activities – from the very big to the seemingly small. SANRAL’s wide range of investments in the community is coordinated by a dedicated team led by Corporate Services Executive, Heidi Harper. In recent years, this team has helped the agency earn an accolade as one of South Africa’s top employers and a leading example of how to create a great environment for employees, attract and develop talent within the organisation and implement career-management programmes. This approach is also evident in SANRAL’s external initiatives, through which it offers scholarships for deserving learners, bursaries for engineering students and internships in close collaboration with contractors and consultants. Heidi Harper has been responsible for strategic leadership and people management at SANRAL for the past 12 years. A registered human resource professional with a Master’s in Business Administration, she started her career at Transnet Freight Rail, where she introduced a shop steward and supervisors’ training programme. During her time in the infrastructure environment, she served on a technical committee of the World Roads Organisation and delivered papers at local and international conferences on the subject of organisational performance. In 2015, the Netherlands-based Top Employers Institute named SANRAL one of the top global performers when measured against a set of international standards. The cost of tertiary education is an issue that is dominating public debate in South Africa. As a responsible corporate citizen, SANRAL has to take this into account when making decisions on the support it offers to bursary students. Skills development is identified as a priority in the National Development Plan (NDP) 2030 – the broad framework that defines the country’s developmental trajectory. The NDP highlights the reality that future investment in critical infrastructure is highly dependent on the ability of the tertiary education sector to train skilled engineers, artisans and technicians. SANRAL is responding to this call through its skills development and financial support of engineering students. This is a sector in which South Africa is experiencing critical shortages. Because the agency will play a defining role in the rollout of South Africa’s future infrastructure programme, it is of vital importance that the organisation attract and train some of the brightest students in the country and then manage their careers within SANRAL. Since the inception of its bursary programme in 2007, the agency has been very successful in identifying exceptional students – especially from previously disadvantaged communities. To prepare the students for professional careers, SANRAL bursary holders are offered vacation jobs to familiarise themselves with the work environment. Bursary holders are also mentored and provided with assistance on practical projects, if required, during their studies. SANRAL offers work-integrated-learning opportunities in conjunction with contractors and consultants working on its projects. This offers a platform for interns to use the workplace as an active learning environment and assists students in obtaining the practical experience they require to complete their qualifications. In terms of a performance agreement between SANRAL and the Minister of Transport, the number of internships offered should be equal to 10% of the staff complement. However, because of the high demand for practical experience within the engineering fields, SANRAL is exceeding this target and offers internship opportunities equivalent to 44% of its staff complement. SANRAL’s bursary programme is making a tangible contribution to closing the skills gap in South Africa. Civil engineering is one of the most exciting and rewarding professions to be in, one that requires passion for creating infrastructure. Madoda Mthembu has been a Project Manager at SANRAL for the past eight years. One of his responsibilities is to manage the Routine Road Maintenance projects in the Northern Region. He is also responsible for the ad hoc maintenance of road sign and reseal projects. The agency’s Northern Region is its biggest – it includes Gauteng, North West, Limpopo and Mpumalanga. Being professionally registered by the Council is one of the greatest achievements for a South African engineer. Ever-increasing globalisation – and South Africa’s participation in it – has made it critical for the country to become competitive internationally. Ecsa registration contributes substantially to this and it’s an important part of maintaining high standards in the profession. SANRAL employs engineers of the highest calibre and is one of the largest employers of engineers in the country. The roads agency recently received some of the highest accolades awarded by the South African Institution for Civil Engineering (Saice) for two major road development projects. In addition to building infrastructure and spending countless hours in the field, engineers are required to do other managerial tasks and can be very good managers of people. They are the brains behind most compelling structures around us, from tall buildings to remarkable roads and bridges; even energy and water facilities like dams and power stations that serve thousands of communities. The scholarship programme is for learners who want to follow a career in engineering – particularly civil, transport, electronic/computer and electrical. Consideration is given to learners who achieve 75% in English/Afrikaans, 75% in maths, 75% for physical science, as well as those with an overall average of 75%. The scholarship offers school fees, along with boarding fees, books, stationery, school uniform (one set for summer and one for winter), sports uniform (one set), mentoring and assistance with exam preparation. In the course of their scholarship, learners are encouraged to be ambassadors for SANRAL and attend the agency’s events. In 2016, there were 194 learners enrolled in the scholarship. Of these, 90 attended the Centre of Science and Technology (Cosat), which is supported by the national roads agency. Max is a man of diverse talents – apart from leading the SRC at St George Grammar School in Cape Town, where he matriculated in 2016, he also attends martial arts classes and enjoys running. Max is keeping his options open when it comes to choosing a career. He intends to join the Young Minds gap-year program offered by the University of Stellenbosch next year. “I particularly enjoy English, history and business studies, as these subjects involve active class discussion on current affairs, as well as essay writing. “I am interested in taking up a course in commerce and/ or the humanities, but I have decided to apply first for the gap-year program at the University of Stellenbosch. SANRAL scholarship recipient Hlumela Mngomezulu has big dreams. The Kearsney College Grade 11 student wants to land a good job so he can help underprivileged students. Hlumela, who loves maths and physics, was raised in Mtubatuba. He was encouraged by the school bursar to apply for the SANRAL scholarship. “SANRAL provided me with funding for fees, uniform, books and sports jerseys. This has helped a lot. I’m so grateful for the support they’ve given me to pursue my dreams. “My goal is to pursue a career in actuarial science at the University of Cape Town. Professionals in this field earn a good income. My wish is to help underprivileged people to achieve their career goals.” Being a boarder has had its challenges. In the beginning, he constantly missed his family. But Hlumela has adapted well. Softspoken scholarship recipient Khanyisile (Grade 12), lives in Gauteng. She got her scholarship application form from her uncle, a doctor. The scholarship helps her pay for extra subjects offered in her high school’s curriculum. This exposes Khanyi to a wider variety of subjects and broadens her career prospects. SANRAL’s scholarship programme is not exclusively for pupils who are dead-set on a career in the infrastructure sector. It is the agency’s way of giving back to the community, not just creating future engineers. Khanyi says she’s still deciding on whether to study medicine or accounting when she gets to university. She’s not particularly keen on engineering. “But I do admire the value the engineering industry adds to our daily lives,” she says. In my own way, I want to contribute and make a change in people’s lives too.” Ten years from now, Khanyi wants to be a qualified doctor and is interested in studying further towards a speciality. Uitenhage-born Adrian Leibbrandt wants to be an electrical engineer. He has just completed Matric as part of the Class of 2016 at Daniel Pienaar High School. This SANRAL scholarship recipient says the agency’s programme has taken a huge financial burden off his parents. “I was introduced to the scholarship by my maths teacher. I applied immediately and was awarded the bursary. My parents have been struggling financially for the past few years,” says Adrian. In the next 10 years, Adrian wants to be a qualified engineer. Devon Anyster hails from Worcester in the Breede Valley and he comes from a family of educators. Both his parents teach at secondary schools in the town. From a young age, his parents taught him that hard work paves the way to success. Devon says his favourite subjects in high school were civil technology and mathematics, because he got real satisfaction from solving a problem and helping others to do the same. Devon is now in his fourth year BTech in civil engineering (transportation) at the Cape Peninsula University of Technology. Before he was awarded a SANRAL bursary, he had completed a National Diploma in civil engineering and was working at the Breede Valley Municipality on an Expanded Public Works Programme appointment to broaden his experience. The bursary will pay for his studies and includes registration, tuition, book allowance, accommodation/travelling, living allowance, vacation work and meals. Lutho is a first-year BSc civil engineering student at Wits University. He says he knows first-hand how learners with no career guidance can be at a disadvantage. “This is what motivated me to start an NGO that focuses on career guidance in rural areas.” The NGO, Save A Learner’s Future (Salf), is based in the Eastern Cape and was founded by Lutho and Simbulele Gonyela about four years ago. It aims to facilitate the participation of the rural areas in the mainstream education system. Its tasks include tutoring, assisting in applications to higher institutions, bursary applications and career guidance. Santhuri Govender, the recipient of a bursary from SANRAL, is a second-year BSc civil engineering student at the University of KwaZulu-Natal and has a passion for maths. Santhuri 18, resides with her parents and two younger sisters in Durban. She has always wanted a career that took her outdoors. “Civil engineering fulfilled this need and there is also a big demand for female engineers. 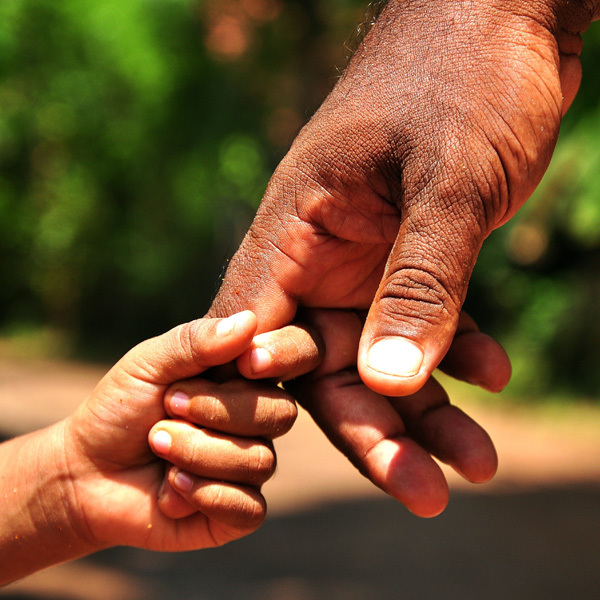 I became aware of SANRAL’s bursary programme in 2015, through my father, who is my greatest support system. “A director of a geotechnical engineering company, he encouraged me to pursue studies in the civil engineering field from an early age. In her free time, Santhuri enjoys problem-solving games such as Sudoku, Rubik’s cube and crosswords. “My advice to new bursary applicants is to work hard continuously; don’t be afraid to ask for help and believe in yourself all the time.” “I plan to join SANRAL as a competent project manager in the not-too-distant future,” she says. Kiran Varghese is a Civil Engineering student at the University of Pretoria. He found out about the SANRAL bursary through his father, who saw the application online. “When my father brought me the application, I was excited – somehow I knew I had a chance of getting it. The bursary has greatly helped me proceed with my tertiary education. I am now able to commit myself fully to my studies knowing that I have a strong support base from SANRAL,” Kiran says. “I would like to know how exactly SANRAL is able successfully to manage all the roads under its jurisdiction and maintain them at such high quality.” In his spare time, Kiran enjoys reading and is fascinated with engineering. In the next 10 years, he sees himself overseas, learning about cutting-edge construction and road management infrastructure. We hope he will come back and use that knowledge for the benefit of our country. SANRAL is not only about the building of national roads. Part of its community outreach programme is to empower learners in remote rural areas and provide them with opportunities for a better future. In 2015, SANRAL signed a three-year partnership agreement with the University of the Free State (UFS) to continue supporting its Science for the Future programme. This comprises two distinct elements: 1. An ICT Laboratory Programme that delivers e-education in science and maths to high school learners with a talent and passion for these subjects. maths and science, have the opportunity to enhance their understanding through interactive online learning sessions. Repeated exposure and cumulative learning are at the heart of this programme and each learner has the opportunity to attend at least 30 sessions over the course of three years. The experience is enriched by hands-on experiments and excursions such as visiting the Boyden Observatory, a digital planetarium on Bloemfontein’s Naval Hill. changing their attitudes towards maths and science,” said Elna Fourie, SANRAL’s Development Planning Manager. A total of 691 student educators and 255 educators received training to use the activitybased, hands-on methodology of the Family Maths and Science Programme. A total of 12 942 learners and 7 512 parents, mostly from rural communities, participated in learning activities provided by the programme. Educators were resourced with materials to support the learning experiences of nearly 13 000 children. A group of 19 subject advisors underwent training to fulfil the role of programme coordinators. The seventh annual Family Math and Science Summit took place at UFS in October 2015 and this event gave educators and coordinators a valuable platform to learn from each other. In a partnership that dates back to 2013 between The South African National Roads Agency SOC Limited and the University of Cape Town, the help of Dr Mark Zuidgeest, from the University of Twente in The Netherlands, has been invaluable. Sustainability is at the centre of all SANRAL activities, whether these involve strengthening SMMEs, taking care of the environment or growing the next generation of engineers. SANRAL continues to nurture talent through mentoring and training and successfully attracts and retains talent through centres of excellence such as the Centre for Transport Studies (CTS). Under the Chair of Dr Zuidgeest, the Centre focuses on many themes, which vary from mathematical and simulation models to dynamic road land-use models. “SANRAL’s endowment has enabled UCT’s Centre for Transport Studies to expand from three to four full-time academics. Because of that, CTS can accept more students, contribute to two more courses in the Civil Engineering undergraduate programme and has developed a further three post-graduate courses,” said Prof Zuidgeest. With 500 undergraduate and 50 postgraduate students benefitting significantly from the endowment, current and future students all help generate vital expertise. SANRAL has had a partnership agreement with the Nelson Mandela Metropolitan University since 2010. Through the Science, Technology, Engineering and Mathematics Pipeline Project (STEM PP), it aims to develop the skills of Grade 10-12 learners in the Port Elizabeth and Uitenhage school districts. The goal is to increase the number of learners who qualify to study for a degree in a science-related field. In 2015, the agency invested R1.72m in the project which had 2 181 participants. (c) high-quality research facilities, staffed by skilled personnel. It strives to find innovative ways to address the dearth of civil and other transportation engineering skills, to enhance the quality and quantity of these outputs and avoid costly duplication of laboratory facilities. SANRAL reaffirmed its commitment to education with its recent R30m endowment to Stellenbosch University. The endowment continues to fund the SANRAL Chair in Pavement Engineering at the University, which was established in 2001. The SANRAL Chair offers specialised postgraduate courses to students and practitioners in the roads industry to keep them abreast of new global developments. It is also responsible for teaching undergraduates and for managing asphalt and pavement research labs. The research includes new material investigations and performance analysis, road rehabilitation, recycling, sustainable road construction practices, numerical modelling and design systems for pavements, as well as appropriate seal and asphalt technology for developing areas. Stellenbosch University’s Prof Kim Jenkins, incumbent of the SANRAL Chair, explained that the postgraduate programme has gone from strength to strength. “Every year, between 10 and 15 new postgraduate students are registered, bringing the total number of current students to between 35 and 45. Seven doctoral and 51 masters degrees have been awarded under the study leadership of the Chair. Two-thirds of students come from historically disadvantaged communities, reflecting both SANRAL’s and the institution’s commitment to diversity,” he said. Among its defining features is its cooperation with international universities in Rwanda, Brazil, China, the Netherlands, Italy and the US. Locally, the Chair works closely with the Council of Scientific and Industrial Research (CSIR), the South African Bitumen Association (Sabita) and other South African institutions of higher learning. It continues to contribute to the development of industry guidelines. Bertram High School Grade 10 learners Ashley Jacobs and classmate Keelan Hendricks perform the heating curve of water experiment. While the ice melts and heats to form water vapour, they record the data to plot a heating curve. The national roads agency’s partnership with the Nelson Mandela Metropolitan University (NMMU) since 2010 has continued to grow and deliver positive results. The STEM in ACTION program at the Missionvale Campus of NMMU provides an opportunity for selected schools to bring their physical science learners and teachers to perform Curriculum Assessment Policyaligned experiments. Talented learners are identified and channelled into the Getting Ahead in Technology and Engineering (Gate) project. The Gate programme, which takes place after school, also includes the Study Toolbox course, English in Science and even career exploration sessions, including online interest profiling. Learners are able to explore various careers in science and engineering through site visits and interact with professionals in the field. Bertram High School teacher Filida Piedt said she found the physical sciences classes at NMMU STEM very helpful. “We don’t have the equipment to do physical science experiments at school. When our learners attend these classes at NMMU, they are given the opportunity to gain first-hand experience working with the apparatus,” she said. Piedt has brought many Bertram High learners to the STEM programme over the years and has seen a commensurate increase in the pass rate. Both his parents are engineers. “I think it’s just a family thing now,” he laughs. SANRAL provides mentorship and practical training in road and bridge design for graduate candidate engineers. This training programme was introduced to equip candidates with the necessary skills to register as professionals with the Engineering Council of South Africa (Ecsa) within a five-year timeframe. “Working for SANRAL, you have to appreciate some of the projects being actively implemented – especially huge ones like the N2 Wild Coast Toll Road project – in the region you are working. I have enjoyed and admired all the projects through the SANRAL Regional Laboratory here in the Eastern cape, as an acting consultant.” With engineering being a critical skill in South Africa, Katlego aims to continue developing himself. Teacher Donay Erasmus (centre) catches up with Bronwin Roberts and Nicole Naidoo, both Grade 10 Chapman High School pupils, during a session at the NMMU STEM programme. Donay Erasmus, who teaches Grade 10 and 12 physical science and Grade 9 maths at Chapman High School, says the extra classes are beneficial to her pupils. “There is no time in the classroom to do the practical work. The learners leave here knowing that there are so many possibilities in the scientific field that they can study, like microbiology. The children really look forward to coming to these classes. They can’t stop talking about what they’ve learnt,” she said. The STEM programme has been actively involved in interventions with physical science pupils in Grades 10- 12, who attend government and some private schools in the Port Elizabeth and Uitenhage school districts. In March 2016, more than 100 from Port Elizabeth’s northern areas participated in extra maths and physical science classes. Due to the poor provincial and city matric results of 2015, the programme hosted an autumn school in physical science during the April school holidays. The same programme was run as a winter school in the mid-year break of 2016. It exposed learners to hands-on experiments and simulations often not carried out at under-resourced schools. school has an interest in improving the performance of its learners. SANRAL supports the programme through funding and the bulk of the activities take place at the Missionvale campus of Nelson Mandela Metropolitan Unversity. Several of the students who participated in the STEM programme over the past number of years have received SANRAL bursaries to study engineering. Pajeto Construction, owned and managed by Paseka Godfrey Gopane, has been well-positioned in business, thanks to SANRAL. The company operates in the Free State with seven employees. It is involved in the construction of culverts, guardrails, V-drains and subsoiling. Gopane was contracted to WBHO Construction, which is upgrading the N1 between the Winburg interchange and Winburg station. “Working with SANRAL has helped us to develop our self-esteem. We experience the challenges of day-today construction work onsite. Our workers have gained a broad understanding of the various aspects of road construction.” Gopane said he was proud of his team’s performance daily. “SANRAL has endowed us with management skills, invaluable training and employment for those who are in learnership programmes,” he said. He applauded SANRAL for its continued encouragement. The national roads agency has enabled his company to acquire Grade One civil engineering status and Gopane said he looks forward to achieving a higher grading status in future. He said it was not an easy task to excel. The biggest challenges he encountered in setting up and maintaining his company were financial. Pajeto Construction has big ambitions – achieving healthy profits, investing in additional workers and equipment and transferring skills to the underprivileged communities in which it operates. Equipped with a passion for the construction industry, the company is eager for more work from SANRAL and assistance in submitting SMME tenders. 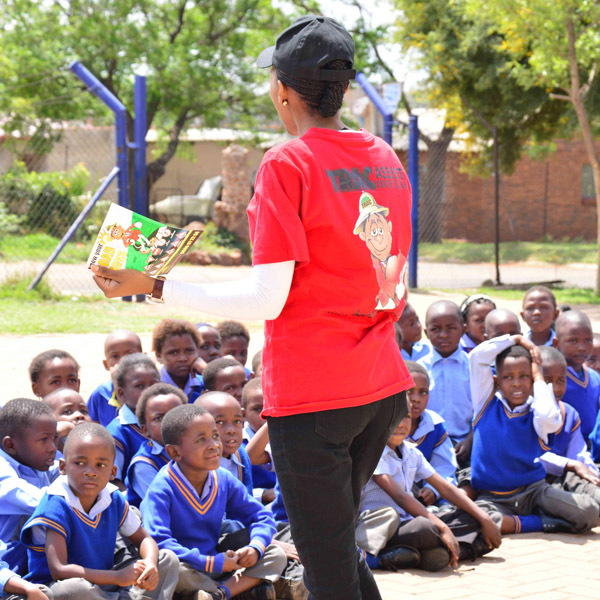 Gopane encourages other developing SMMEs to work attentively and “grab every opportunity” that comes their way. “Believe in your company,” he said. “I am grateful to SANRAL for its continuous professionalism. We would not have survived without the agency’s support,” he said. Looking after roads is no easy task. No company understands that better than VEA Road Maintenance and Civils. VEA is a leading company that specialises in the construction and maintenance of the country’s road reserve. This includes pavement layering, asphalt surfacing, road sealing and the installation of all drain types. depending on work requirements. Hein Biekart, who is the senior contract manager at VEA, believes that through this appointment (and several previous projects), SANRAL has helped the company grow to be one of the leading RRM contractors in South Africa. measured for approval by the engineers,” he said. Apart from the normal onsite challenges, there are external factors that can disrupt the progress of a project, such as politics within the community, business forums and “difficult” subcontractors. Established by Upington’s Carmen Humphreys in June 2003 with only 10 employees, Vukuzenzele Building Contractors has grown into a fully-fledged civil engineering company with more than 100 employees. The company is 100% black and women-owned and has received the Construction Industry Development Board (CIDB) level 6 CE/PE grading and a Level 1 B-BBEE certification. Humphreys said that initially the company did repairs, renovations and fencing projects for the Northern Cape Provincial Department of Transport and Public Works. “We saw an opportunity to do work for SANRAL in 2005. We were awarded our first contract, working under a main contractor and doing routine road maintenance on the N14, between Keimoes and Upington,” she said. “And now it appears the sky’s the limit.” Since 2005, Vukuzenzele has successfully completed several major road maintenance projects for SANRAL, running into millions of rands. These days, the company performs routine road maintenance on several of our national arteries, including the N8, N10, N12 and N14 in the Northern Cape. Some of the communities who live close to South Africa’s busiest freeways are benefitting greatly from investments in education, training and job-creation programmes – thanks to SANRAL’s partnerships with the private sector. Such investments leave lasting legacies of development and progress. SANRAL manages three public-private partnerships with concessionaires that develop, fund, operate and maintain sections of the national road network. They are responsible for about 40% of the tolled sections of South Africa’s national roads. Each of the concessionaires has launched initiatives aimed at community development to support SANRAL’s own investments. The road network managed by these companies stretches from the Botswana border in the west into Mozambique and from Limpopo through Gauteng and the Free State towards the KwaZulu-Natal coast. Skills development and training have been identified as priority areas by all three concessionaires. Over the years, Trans African Concessions (TRAC) has cumulatively invested more than R28m in training programmes for small and medium enterprises in South Africa and a further R16m in Mozambique. The quality of infrastructure at schools located close to its route has been assessed and more than R4.6m has been allocated to build additional classrooms in communities where the need is greatest. At the Takheleni Primary School in Mpumalanga, TRAC has sponsored the construction of a roof and cement floor for the assembly area and the building of a new classroom. In Mbombela, the company supports the Woodhouse School, with the refurbishment of classrooms and the maintenance of a vegetable garden, which delivers produce to its feeding programme. The N3 Toll Concession prioritises financial assistance to deserving students, to enable them to continue their education at a tertiary level. Bursaries are granted in fields of study linked to the company’s business, including engineering, transportation, accounting, information technology and environmental sciences. Bursary students are also offered opportunities for internships and, where possible, join the N3TC in fulltime employment upon completion of their studies. Healthcare and social development also feature prominently among the community investment programmes managed by the concessionaires. 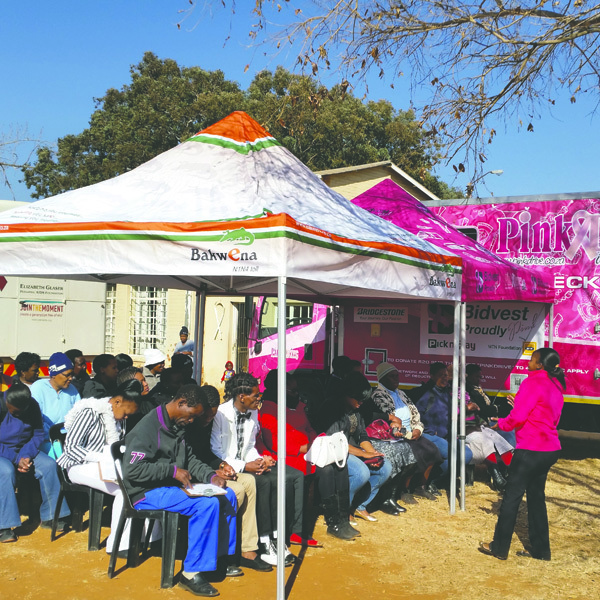 Bakwena has joined forces with the Pink Drive initiative to create awareness about breast and prostate cancer. Clinical examinations and education programmes are conducted at clinics along the route and cases that require treatment are referred to clinics and hospitals. Instruction in first aid is offered to school learners and, together with Red Cross, the company has identified community members in Bapong, Groot Marico and Hammanskraal who are trained in disaster management. TRAC runs a similar programme with a special focus on emergency rescue and road safety awareness. Its route is linked to a fully functional helpdesk, which offers quick responses to crash victims, especially during peak travel periods. Touching Lives is the corporate social investment programme launched by N3TC in communities from Pietermaritzburg in KwaZulu-Natal to Heidelberg in Gauteng. The objective is to provide financial and intellectual support in areas such as education, child welfare, youth development, the disabled and enterprise development. During the 2015 financial year, the company has allocated R10.4m to community projects and joined forces with local organisations focusing on sustainable tourism and environmental projects.